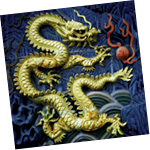 The objective of the Edinburgh Dragon Trust is to achieve long term capital growth through investment in the Far East. Investments are made in stock markets in the region, with the exception of Japan and Australasia, principally in large companies. When appropriate, the trust will utilise gearing to maximise long term returns.